So, the new motto is: Send timely, targeted, valuable emails to those who have asked. At the end of last year – December 29th to be exact – I received an email from REI. The subject line was simple enough: Your REI Events Calendar for January. Forgetting the timely and targeted portions for now, as well as the permission part (I definitely subscribed), let’s focus on the value portion. After all, that’s what really matters, right? Did I find value in the email that you just sent me? Breaking down the various forms of value. 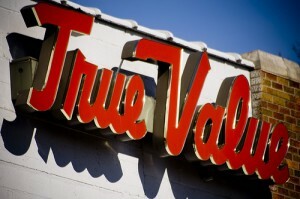 Trust Value: This is all about the open. Did I value our relationship enough to trust you to open the email? In this case, the answer is: yes. I love REI. I love their emails. I love their store. I love their products. I love their employees. I love their community-focused approach. (Trust: +1). Content Value: Was their personal value in the contents of the email? Was their enough in the message that got me excited about reading? How about clicking? Best yet, did I convert (buy something)? I definitely read and clicked. I didn’t buy but, part of that is because I’m not ready. Not yet, at least. (Content: +1). Share Value: This one is where the digital glue (read more about social + email marketing) comes in. Was the email valuable enough to me that I wanted to share it with friends, family and random people (think: Twitter)? In this case, the answer was: no. But, that was mostly because I no longer live in Durham. More on that later. However, the content was great (see above). 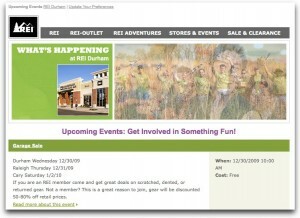 Had I still lived in Durham and been tied into REI, this email would have been share-worthy. (Share: +1/2). So, if this had been a 3-star rating system based on Value, REI would have earned 2.5 stars. Not too shabby. There are a few other aspects of this email I’d like to acknowledge. I think they did a pretty nice job with some of the social aspects. 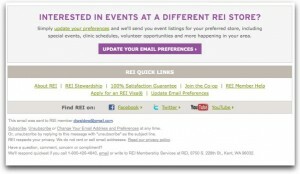 They called out “Find REI on…” in the bottom portion of the email. I could “find them” on the Big 3 – Facebook, Twitter, and YouTube. However, why? What’s in it for me? Why friend or follow or subscribe to their various social channels? 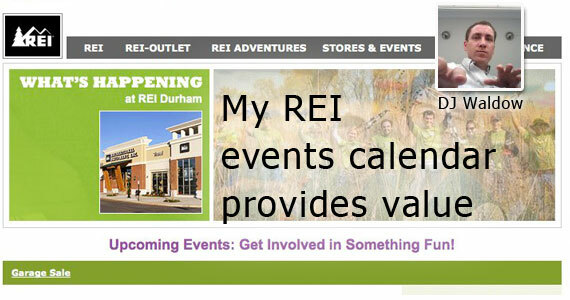 Finally, I loved (yes, loved) the “Interested in Events at a Different REI Store?” section. I’m not sure if this was personalized towards me or not, but it sure felt like it. As alluded to above, we moved from Durham to Salt Lake City in June of 2009. They provided me a nice button/link to update my preferences. Very smart. I often like seeing a totally separate “update your preferences” type campaign. Try it sometime. I dare you. So, that’s the story on REI. I’m still a big fan. How about you? Takeaway: As email marketers, we spend a ton of time thinking (and worrying) about best practices. I’m still a believer in following “generally accepted” best practices or “practices that are best for your company; however, at the end of the day, it’s all about value. Do your subscribers trust you? Is the content adding value to their day? Is it valuable enough to share? Value. Value. Value.